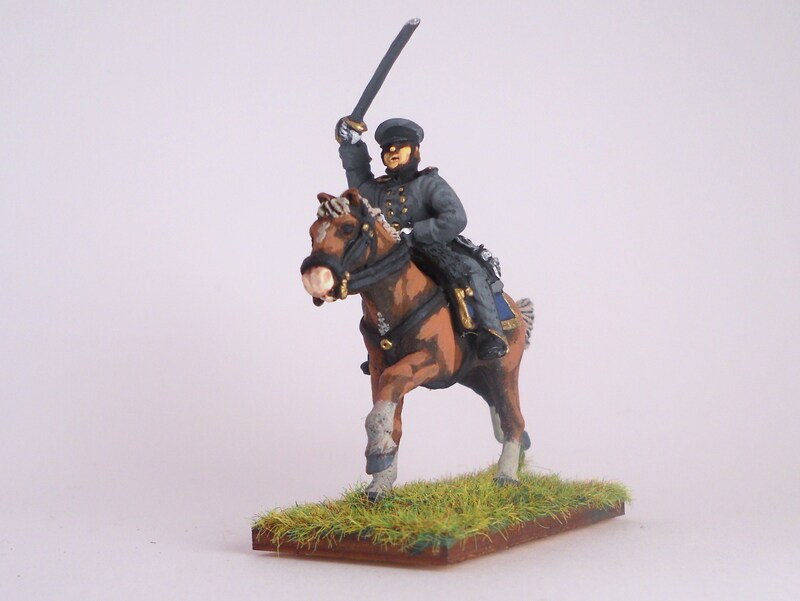 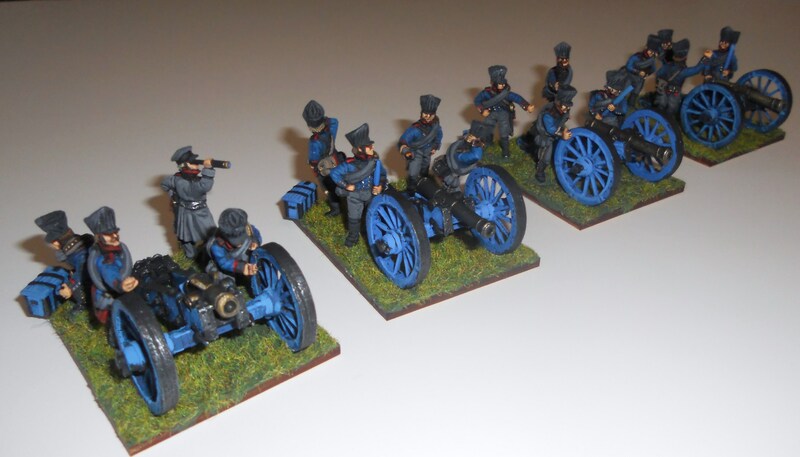 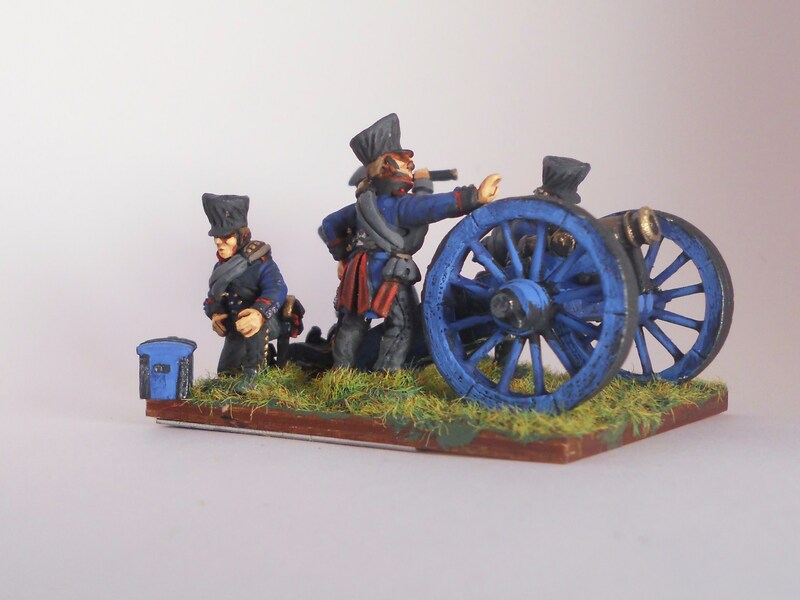 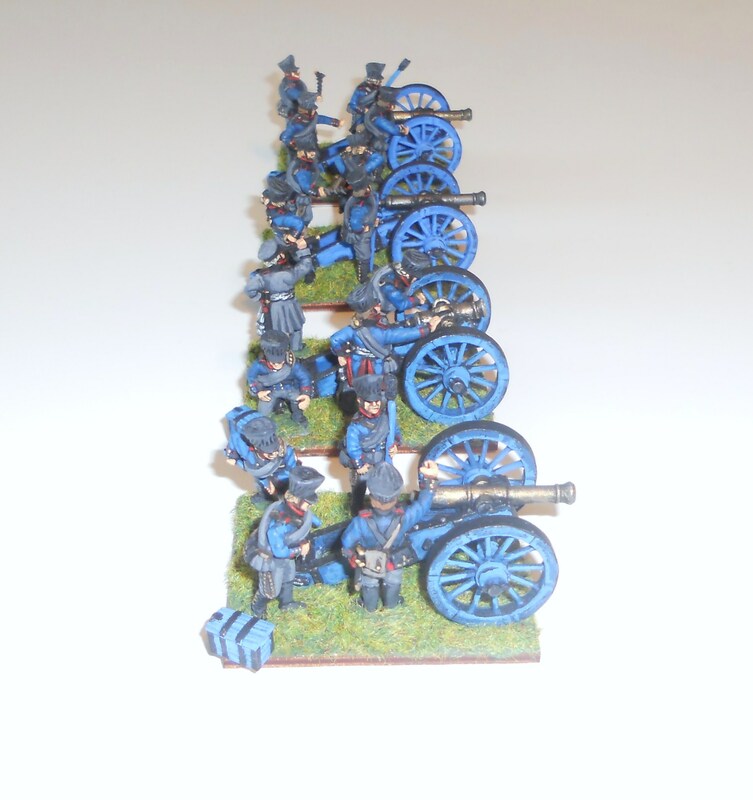 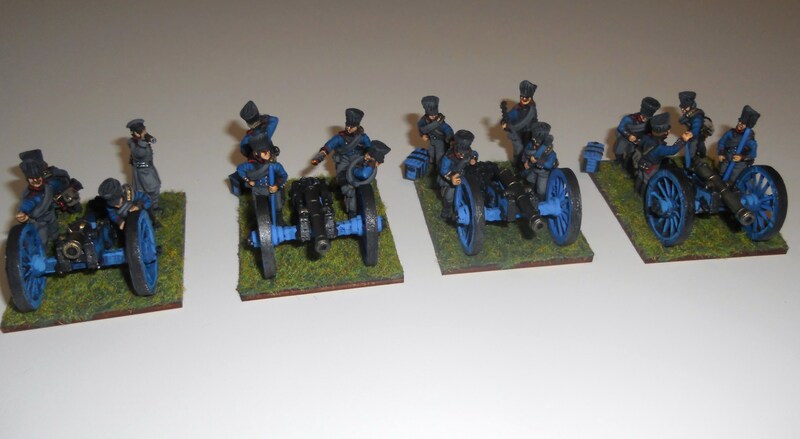 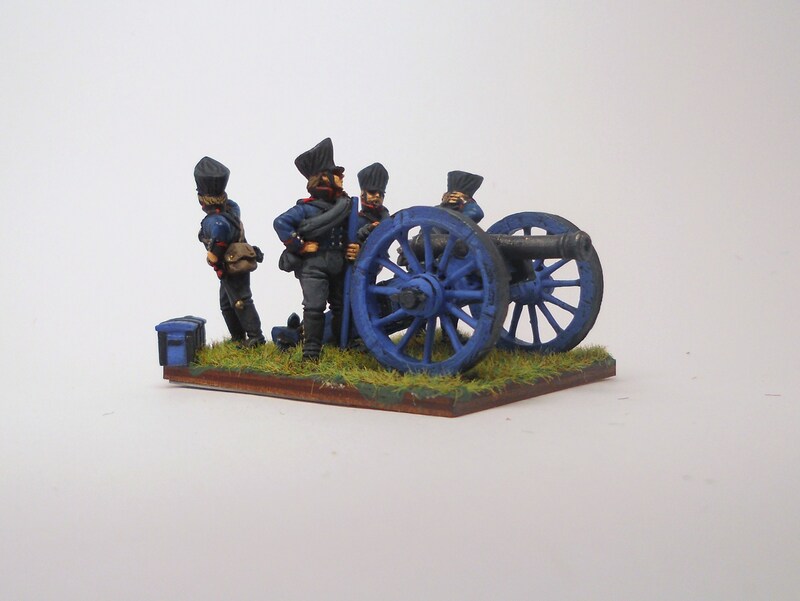 I recently painted a Napoleonic-era Prussian artillery battery and a mounted officer for a friend. 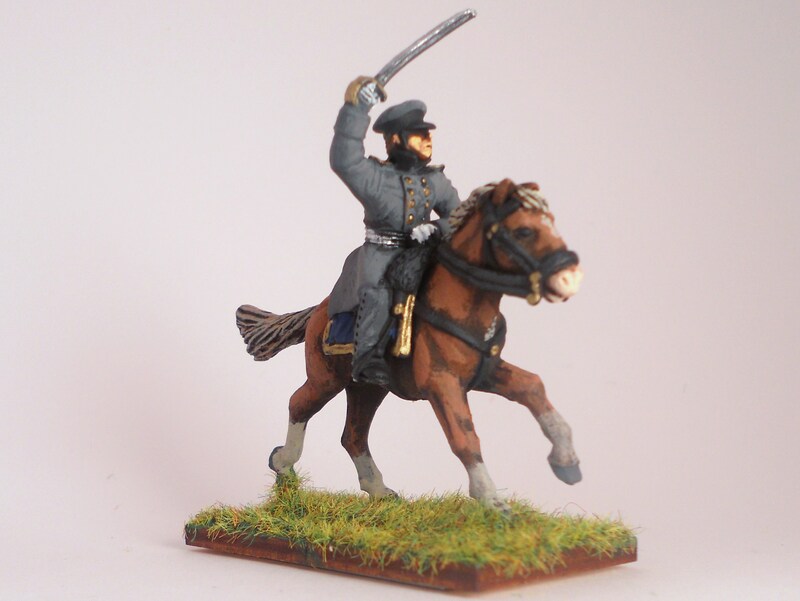 All of the figures, I believe, are made by Calpe Miniatures. 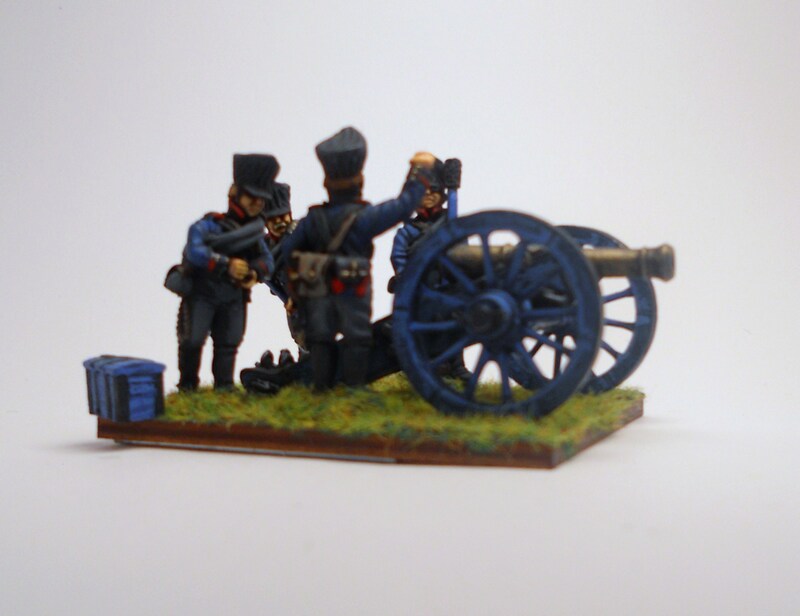 Figures are individually based, but the bases fit into slots on the larger gun base, and can be removed.